I think that’s a little overboard. I told Brenda that there are slow times when many of the people at the Starbucks I write at are sitting alone at tables, tapping at their laptops. But that’s the exception. Most of the time the room is loud with conversation, and, from time to time, I find myself drawn into discussions with others about a variety of issues. But even though I find myself feeling a bit defensive about Simon’s researched position, I am also sympathetic to his concerns. I’m certain that a case could be made that we are even more engaged in civic conversation today than ever before, because of our increasingly ubiquitous access to a global digital community. But I find it too easy and appealing to connect exclusively to people who agree with my world view. Engaging in conversations within like-minded communities might even lead me to feel so passionately about my positions that I could become less sensitive to the positions of others on the occasions that I find myself in contact with them, behaving with less civility than I should. The problem is not the Internet, WiFi, or even Starbucks. The problem is us. We simply need to learn and embrace the fact that NOTHING IS SIMPLE. Author David WarlickPosted on September 28, 2009 September 28, 2009 Categories education, literacyTags education, starbucks, technology, warlick, wifi10 Comments on Is Starbucks Killing Community? Do you typically read the packaged instructions before you start playing video games? 86% indicated that they do not read the instructions but simply start playing the game, learning along the way. This was out of 117 respondents. I asked my son if he reads the instructions and he said, “No!” and that he didn’t know anyone his age who did. If you think about it, ask your students how many of them play their game only after reading the instructions, or if they just start playing. Comment here if you have time. Of course the respondents of my survey were probably not a good cross sampling as they were Twitter users, who follow me — a suspect group from the start. But still, when I am presenting to a school district, it is a far more representative audience. Often someone asks the attendees to identify their generation, and a vast majority, typically about 80%, will stand up as Boomers. 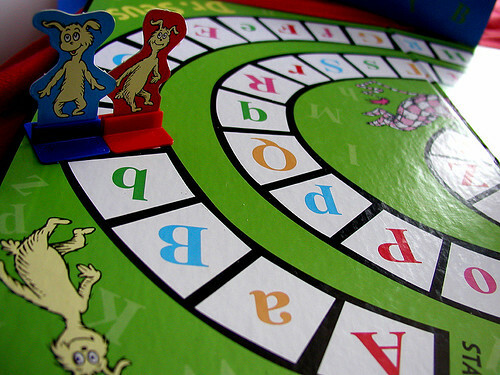 The best corollary I can think of for my gen is board games, and you simply could not play most board games without having read the instructions. So what’s the difference? There are probably those who believe that it’s because these kids are not capable of sustained reading for deep understanding. I think it’s because playing a video game is more like a conversation. Each decision you make and action you take is responded to by the game and you learn the goals and rules of the game through that conversation. Of course, I do not play video games. But admittedly, when I attack a new piece of software, it is in the same way that my son approaches a video game — I just start playing with it. I try something, and if it does what I expected, then I’ve learned something about the tool. If it doesn’t do what I expected — then I’ve learned something about the tool. Added later: I guess my question is can teachers who demand instructions (step 1, step 2, step 3) teach experiential learners? Are We Selling it to the Wrong People? I just got off the phone with a market researcher for a major (textbook) publishing company, and we had a wonderful conversation about innovation, learning tools, teachers,… They’re asking some pretty interesting questions that I do not believe I’ve ever head from education vendors. The conversation got me to thinking, as I continued up my Gmail list of neglected messages (many of the “Will you blog about this?” variety). What I’m noticing is that most of the classroom learning tools (technology) I’m reading about say that they speak the language of today’s students, teach them where they are, and overcome the distractions of Facebook and Twitter. But the ad copy is pitched to teachers (educators) trying to convince us that these products speak digital native. I wonder how the pitch might be different if the companies had to sell their products to the natives instead of the immigrants. Would their products be any different if they were selling them to the students? I’m not suggesting that we turn purchasing over to students. But one of the things that continues to irritate me in the conversations about education reform/restructuring/retooling (not to mention the spending of stimulus monies) is that so much of it is aimed, with the best intentions, at serving teachers and schools — serving education. I’m much more interested in tools, content, platforms that serve student learners — that empower students do their job as learners, propelling them into a future where learning will be the energy that drives fulfilled societies. Author David WarlickPosted on September 24, 2009 Categories education, textbooksTags education, learning, millennials, teaching, technology14 Comments on Are We Selling it to the Wrong People? When talking about the differences between our generation (my generation) and our school youngsters’, I frequently point at my watch (when I remembered to pick it up on my way out of the house). 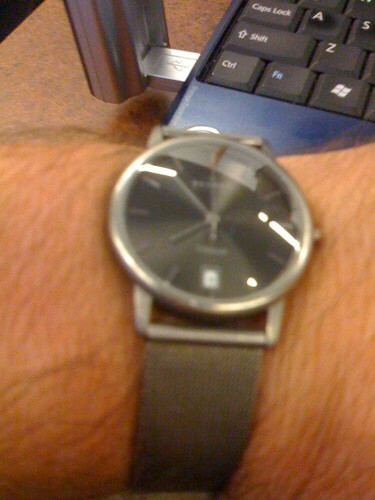 I explain that my watch is not digital. It does one thing, and it well. Digital watches did not exist when I was growing up, and that is an important difference. You see, with digital watches, you typically have three buttons, instead of the single knob. Using those buttons in various combinations, you can do many things with that watch. I simply can’t remember the combinations, and when I try, I always give up with something blinking on the watch face. VCRs are the same way. You have a few buttons, which, in combination, can do dozens of things. It’s why you might call my VCR, a twelve-o’clock flasher. I thought about it this morning when I was trying to transfer miles into upgrade credits on the American Airlines web site. It’s something I’ve done several times, but not frequently enough to remember the process. I have to reason my way into the process each time, and it’s something I am not comfortable with and not very good at. For my children, it is part of their way of doing things — approaching a task kind’a like a safe cracker, ready to work the problem rather than remember the combination. Their video games are much the same. Rarely do they come with instructions. You have to go in, figure out what the goal is, learn the rules through interaction, and then figure out how to use the rules to accomplish the goals. It irritates me when I do not know the process up front. I am less than confident that I will succeed… accomplish the goal… get to the other side of the wall. But from our students’ point of view — from the point of view of their future — is this ability to reason their way into a task a basic skill. Because, if they will be shaping much of their future, will there be more need for this skills. Are all children gaining these skills. I would suspect that it was fairly radical idea, though it would probably have seemed down right blasphemous in an earlier time, when we were not so accustomed to ubiquitous conferencing. The first thing I thought of, as I read through the Wikipedia article was the teachers who have told me that the best thing about having students do their collaborative work on a wiki is that they (teacher) can go back and review not only the students work, but the processing of their work, identifying who contributed what, and what they might have included at one point in the process and then dis-included later up, upon further research or consideration. It seems an idea especially well suited to education, especially as we are coming to understanding the importance of process in the learning experience along with achievement. I mean, after all, what are scientists, but students whose teacher is that aspect of the world they are probing. This also seems an especially fitting topic considering the emerging learning environment in Scotland County and the growing number of schools and school districts who are embrasing tools that give all their student-learners and teacher-learners ubiqutous access to networked, digital, and abundant information — and the capacity to work that information and express discoveries and outcomes compellingly to authentic audiences. I am certainly not suggesting a new buzz word or learning philosophy. But the idea of opening up the work of learning learning seems worthy of some conversation. Well, my vacation is over. I leave for the airport in a few hours on United Airlines (gear under my arm) for Lexington, Kentucky, by way of Chicago. It’s been glorious to be at home, enjoying salad lunches and evening walks with Brenda, working into a routine, starting a new book (somebody shoot me), and upgrading Citation Machine — bringing both APA and MLA schemes into compliance with the latests editions of their respective writing manuals. I’m going back to the speaking regiment without regrets of having wasted my time off — though we really do need to work in a vacation some where, some time. Dreams of Nova Scotia are falling with the mercury. Just a couple of things I’ve run across in the last few days. According to a WIRED September 17 article, there are suggestions that we turn Google around and re-print the millions of dusty old books that the search engine company has spent so much time, energy, and argument scanning so that they are digitally available to us over the network. 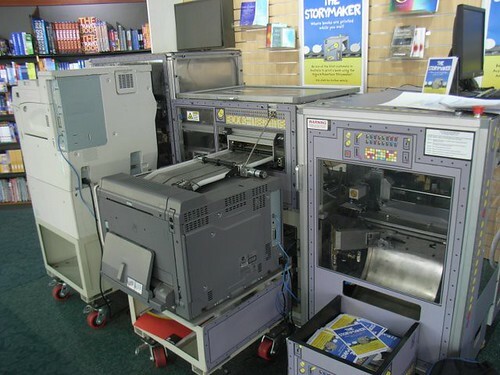 A number of booksellers have purchased their own $100,000 Espresso Book Machine, capable of printing, on demand, a 300 page book with color cover in about 4 minutes. I wrote about a similar practice in February of 2008 (Reading the Old in the Old Ways of Reading) using any of the on-demand publishing services to print your choice of ancients, and are lots of ways of describing this as a long-tail game-changer. But I especially like that this technology can enable local bookstores to compete more effectively with Amazon.com. 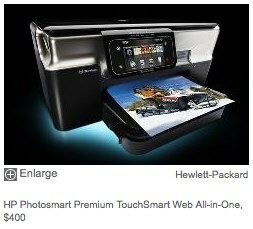 In a similar vein, I ran across this September 17 USAToday article, This HP Printer doesn’t Need a PC to Print Stuff from he Web. 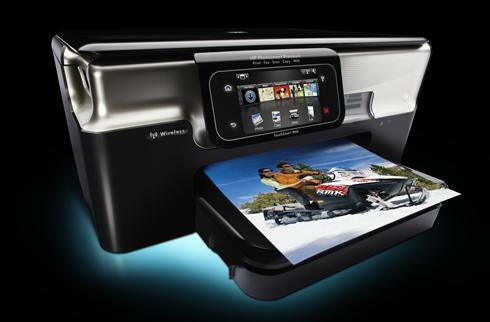 ((Baig, Edward C. “This HP printer doesn’t need a PC to print stuff from the Web.” USAToday 17 Sep 2009: n. pag. Web. 18 Sep 2009. 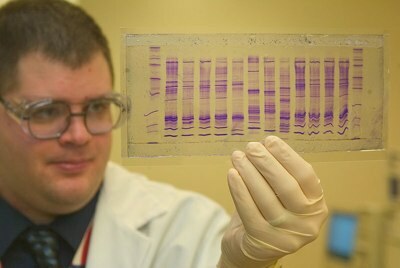 <http://www.usatoday.com/tech/columnist/edwardbaig/2009-09-16-baig-hp-web-printer_N.htm>.)) I can see several worthy niches for a device like this, but what seemed especially exciting was installing a row of these things your textbook storage room. 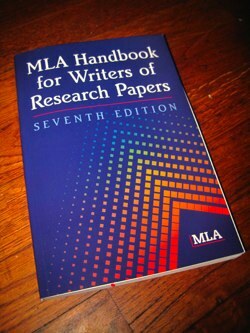 I finally went out and bought the book — MLA Handbook for Writers of Research Papers: Seventh Edition. I’ve completely redone all of the citation templates and you may notice some minor changes in the format of the page, but nothing major. Hopefully, you will notice some performance increase, though the map may be slowing things down. I may remove that. It’s just cool to see who’s hitting this thing. Now somebody is calling for the AMA format. I hadn’t even heard of that one. But I may just add it in. ..we have launched Apps.gov to help continue the President’s initiative to lower the cost of government operations while driving innovation within government. He continues in the next paragraph. Apps.gov is an online storefront for federal agencies to quickly browse and purchase cloud-based IT services, for productivity, collaboration, and efficiency. Cloud computing is the next generation of IT in which data and applications will be housed centrally and accessible anywhere and anytime by a various devices (this is opposed to the current model where applications and most data is housed on individual devices). By consolidating available services, Apps.gov is a one-stop source for cloud services – an innovation that not only can change how IT operates, but also save taxpayer dollars in the process. I can’t help but wonder how all of those poor, career, two-more years to go, government works think about all of this. I suspect that, just like in most work environments, they do not have a lot of choice. It’s what some teacher in Japan wrote back after I sent her instructions for Joining Class Blogmeister, “Doumo arigatou gozaimashita.” One of the fiction series I’ve been reading lately is set, partly, in Japan, so I recognized the phrase a Japanese (before logic did it for me). 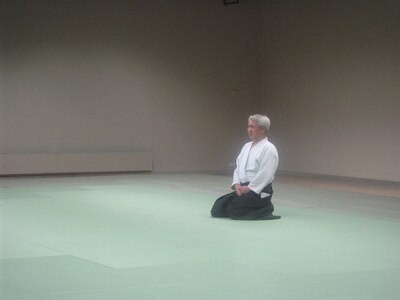 So then I copied the phrase and pasted it into the address box of my browser, hit enter, and it took me to a page of AikiWeb: the Source of Aikido Information that explains the phrase in detail. I’m not mentioning this to pat myself on the back. I’m just sitting here and looking around in wonder at what is happening, how small my world has become and at the same time how large my personal experiences has become — and I wonder why so many people (educators) are afraid of this.